Russell Reserve Lord’s Bay is just outside the traditional GBLT catchment area in Severn Township. It is however representative of the area, and includes extensive shallow and coastal wetlands. The entire Lord’s Bay is a large shallow marsh with submerged and floating aquatic vegetation, providing ideal habitat for turtles and fish, including feeding and spawning grounds. 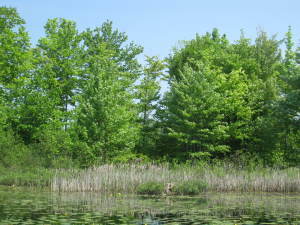 The islands include areas of cattail marsh and/or Sweet Gale thicket shore wetlands, with the interior dominated exclusively by Sugar Maple-Oak deciduous forest, a community that is rarely found along the eastern shore, where soil accumulation is limited by the Precambrian Shield. The immediate area is known to support Eastern Foxsnake and Five-lined Skink, both of which are Species at Risk in Ontario and Canada. 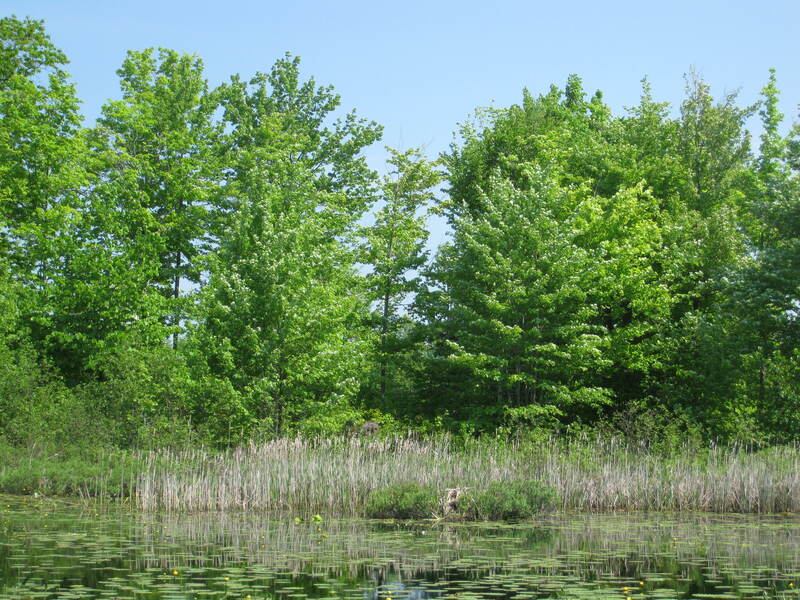 The land donor installed a number of nesting boxes for Wood Ducks which are used frequently.